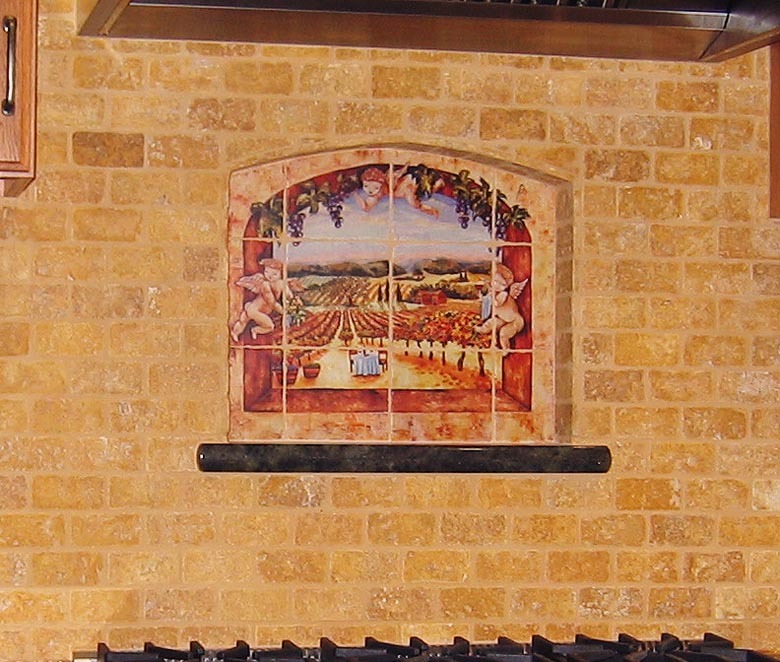 Vineyard view kitchen tile backsplash mural of a California vineyard, hanging grapes and guardian angels watching over the vines. 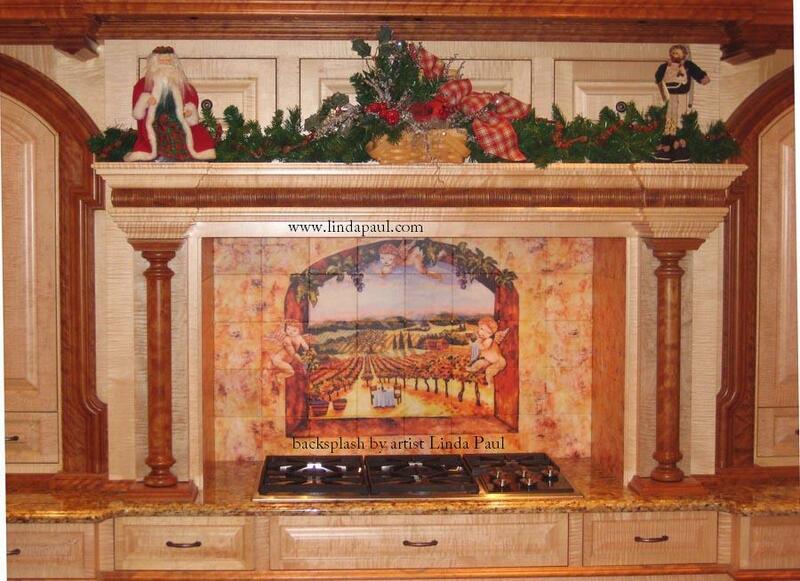 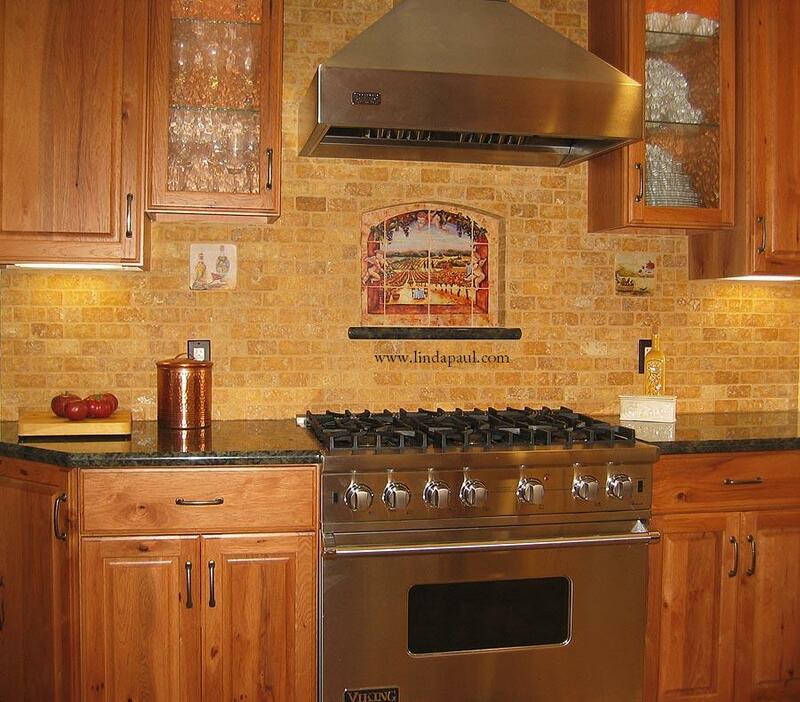 This mural by painter Linda Paul is perfect for wine and grape kitchen decor. 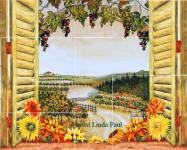 They are lovingly hand-crafted in Linda's Colorado art studio. 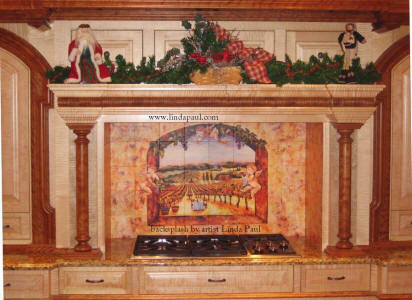 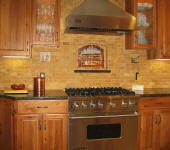 Artist's Inspiration: I had this idea for an artwork with angels or cherubs in the kitchen. 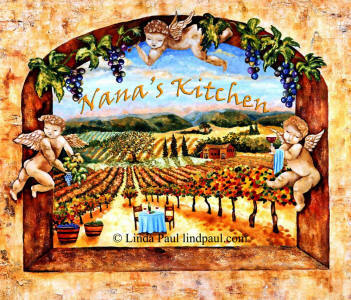 When I did the sketch, the idea transformed from angels in the kitchen to angels in the vineyard. I liked the idea that there are guardian angels of the grapevines and wine making. 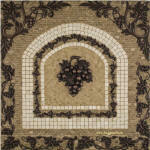 My vineyard is inspired by my trips though Napa and Sonoma Valley, they are such magical places. 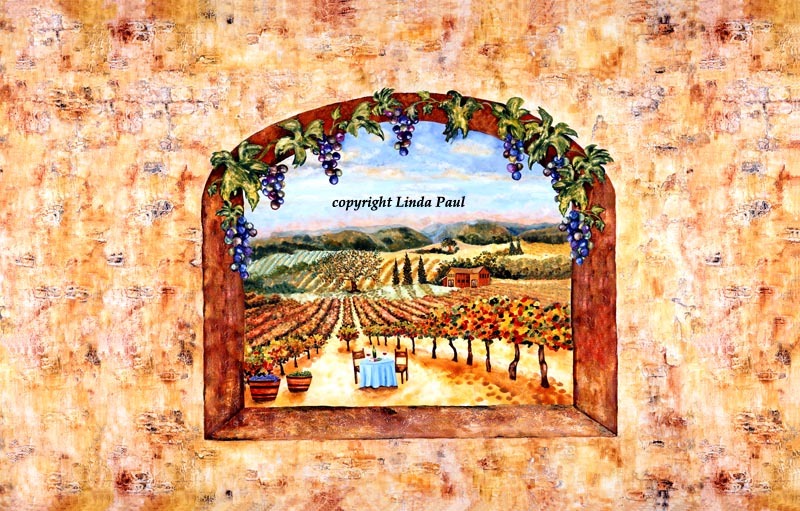 I hope my painting invites you to want to sit at the table in this vineyard and enjoy a nice glass of wine.